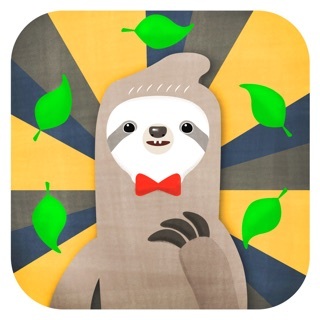 * Nominated for the British Media Awards App Of The Year 2016! 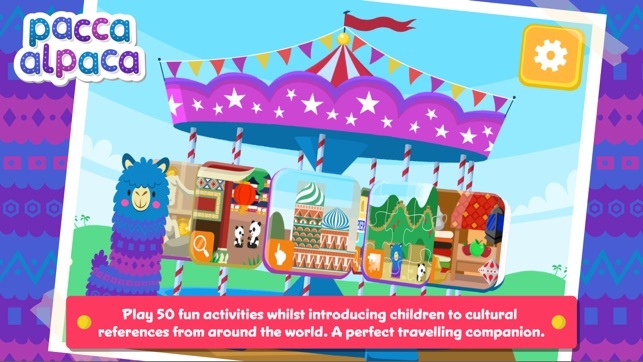 Hop on Pacca Alpaca’s carousel and away we go on a fantastic cultural adventure globetrotting all around the world. Accompanied by Pacca Alpaca, your loveable, cheeky and kind-spirited companion, your child will engage in over 50 fun and colourful early learning activities, such as dot-to-dot, jigsaw puzzles, spot the difference, drawing games and stickers, all designed to introduce your little ones to exciting cultural and historical settings from around the world. Celebrating 23 different countries, the app also features authentic music from the different cultures, as well as showing and naming the flags from each location. 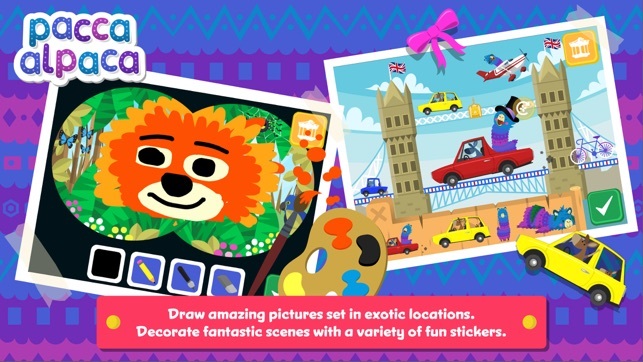 Created by an award winning team of children’s media experts and language learning specialists, and thoroughly tested by children themselves, this beautifully designed app is suitable for children 2 – 6 years. 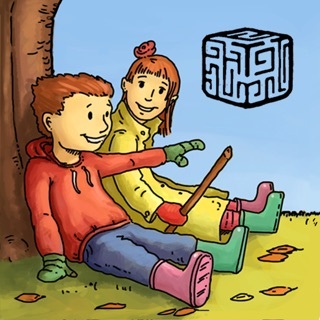 Travel Playtime is the perfect companion to keep your child entertained for hours of fun during long journeys, holiday travel, whilst waiting in the doctor’s office or even when settling down in the evenings. + Piece together the magnificent Mount Fuji in Japan or construct a gondola in Venice and watch Pacca Alpaca go for a ride. + Recreate the Great Wall of China or the magical Northern Lights in Iceland as they twinkle in the sky. 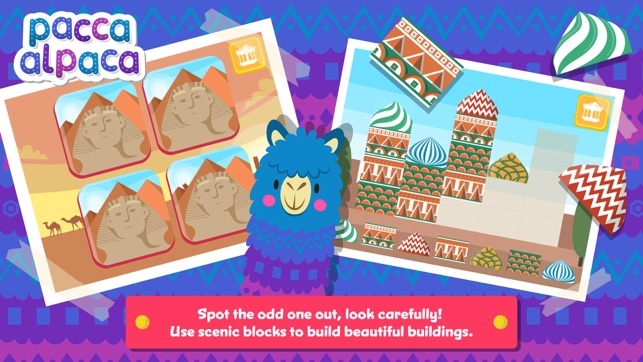 + Connect the dots and help Pacca Alpaca uncover the famous Sydney Opera House in Australia or the Golden Gate Bridge in San Francisco. 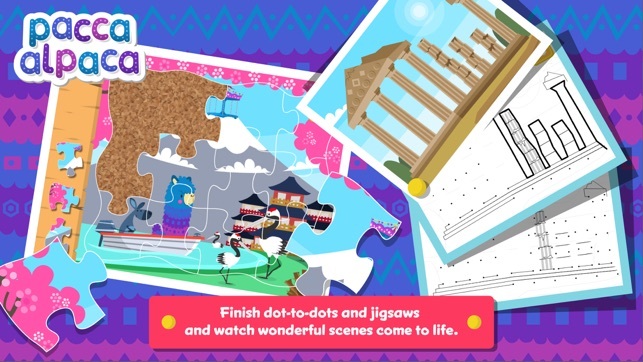 + Finish dot-to-dots and watch the Acropolis in Greece or the magical Treasury in Jordan appear before your eyes. + Play spot the difference at the majestic Taj Mahal in India or at the spectacular Giza Pyramids in Egypt, be careful, can be tricky to find that odd one out. + Use scenic blocks to construct beautiful buildings such as Buckingham Palace in the UK or St. Basil’s Cathedral in Moscow. 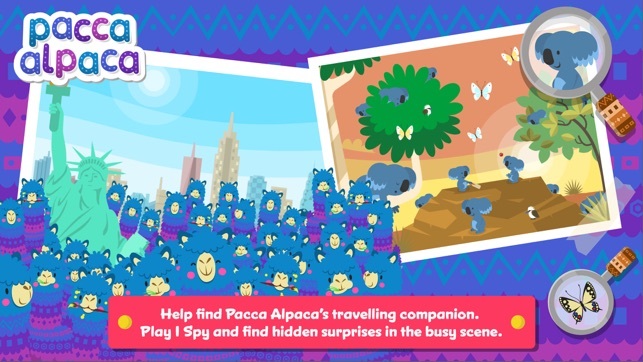 + Help Pacca Alpaca find his missing cap in New York City’s bustling Time Square or seek out his cheeky Otter friend in the scenic harbour of Copenhagen. + Head to the Australian Outback and play I Spy with the local Koalas. + Visit the mischievous Orangutans of Borneo and then whiz over to Rome to spot the coins in the Trevi Fountain. + Create a vibrant scene in the African jungle or on the vast rivers of the Amazon. + Draw your very own NASA rocket and blast into outer space with Pacca Alpaca or venture over to Turkey and paint the busy market stalls. + Decorate the famous Tower Bridge in London or a beautiful Windmill scene over the hills of Holland. 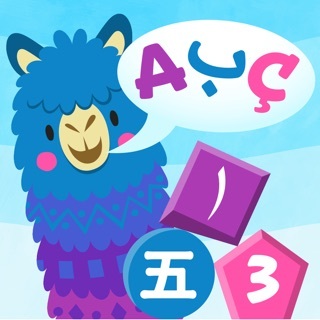 + Playtime on your own Italian pizza, choosing from a variety of tasty stickers, and then enjoy with Pacca Alpaca for a job well done! This application is really helpful and educational. 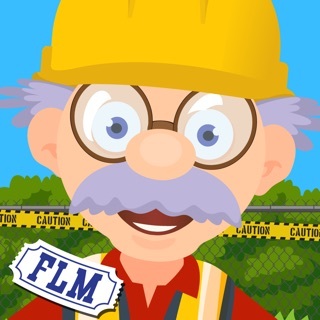 It is great for younger kids who might not understand that they are learning while playing. My kid engulfed for hours. I would definitely recommend. 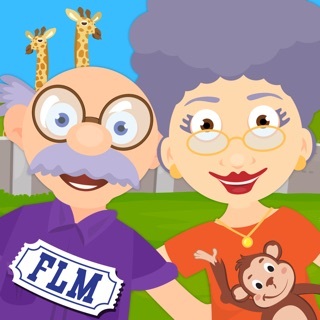 This is an amazing educational and fun app .. My kids have learned so much about different cultures and keep learning every day .. I really suggest purchasing it for your kids ..